Whilst we endeavour to make sure that the website is available online at all times, on occasions it may be unavailable due to system problems or to allow maintenance or other development activities to be completed. We reserve the right to alter the functionalities and features of the website and to permit or restrict access to certain areas of the website to you for any reason. Please be aware that to the extent permitted by law, and except as expressly provided for elsewhere in these terms and conditions, we do not accept liability in respect of the website. Material on the website may contain inaccuracies or typographical errors. Lotus Massage shall not be liable or responsible for any loss or damage caused by or arising from any user’s reliance on information obtained from or through the website. It is your responsibility to evaluate the information and other content available through the website. The website and the information and materials contained in the website (including the prices advertised) are subject to change at any time, and from time to time, without prior or subsequent notice. All website design, text, graphics, audio and video materials and the selection and arrangement thereof, are the sole property and copyright of Lotus Massage. The materials contained in the website are displayed for informational and promotional purposes only. The website is solely for the private, personal, non-commercial use by its users. You may not download or copy any materials on the website except for your personal non-commercial use. No right, title or interest in any material or software is transferred to you as a result of any such downloading or copying. You may not reproduce (except as explicitly set forth above), publish, transmit, distribute, display, remove, delete, add to, otherwise modify, create derivative works from, sell or participate in any sale of, any of the materials on the website, or any related software (including the source code of the website). Any other use of materials on the website without the prior express written permission of Lotus Massage is strictly prohibited. In particular: You may not use any method of systematic retrieval of content from the website to create or compile, directly or indirectly, a collection, compilation, database or directory (whether through robots, spiders, automatic devices or manual process) without written permission from Lotus Massage. The services described on the website are representative of the services offered by Lotus Massage. Not all services that are described in this website are, or will be, available at all times and at all locations. The services described in this website may be changed without prior notice. Lotus Massage services relate to body massage and related massage therapies. Lotus Massage does not promote nor condone prostitution, sexual services of any kind, illegal or immoral activities. Anyone applying for Lotus Massage services must ensure such services are legal in his/her own country. It is understood that Lotus Massage is not the employer of the masseuses introduced through our website. Lotus Massage act solely as an introductory agent and shall not assume nor accept any liability for the masseuses. Please note that Lotus Massage operates solely as an introductory service between clients and ladies offering body massage services. The agency, as an introductory service receives 15% from the advertised rate from the masseuses directly. You agree that any and all comments, messages, postings, photos, audio and/or video material, data, suggestions, concepts, and other items or materials disclosed, submitted or offered to Lotus Massage through or in connection with the website, including, but not limited to, survey responses, etc., shall be treated as non-confidential. Such disclosure, submission or offer of any submission shall constitute a perpetual, royalty free, fully sub-licensable, worldwide licence to Lotus Massage of all copyright and other rights in any such submission to enable Lotus Massage to copy, publish, display, distribute and otherwise use the same in whole or in part, for any purpose and in any media now known or later invented, including, but not limited to, advertising, promotional, product development or other commercial purposes. You waive any so-called “moral right” that you may have in your submissions to be identified as the author of the submission, to object to derogatory treatment of the submission or otherwise. Lotus Massage remain, and shall remain, under no obligation (i) publish, distribute or otherwise use any submission, (ii) to maintain any submission in confidence; (iii) to pay to anyone any compensation for or in connection with the use of any submission; or (iv) to respond to any submission. You represent and warrant that you control all of the rights in and to the content of your submissions and that no submission by you will infringe any right of any third party, including, but not limited to, copyright, trade mark, patent, trade secret, privacy or other personal or proprietary right. Lotus Massage do not and cannot agree to consider or review every submission, and is not liable or responsible for the content of any material posted on the website by users. You agree not to upload, post, distribute or otherwise publish on this the website any material that (i) is libellous, defamatory, obscene, abusive, pornographic, threatening or an invasion of privacy; (ii) infringes the intellectual property rights, including, but not limited to, any copyright, patent, trade secret or trade marks, of any person or entity; (iii) is illegal in any way or advocates illegal activity; or (iv) advertises or solicits funds, goods or services. You are and shall remain solely responsible for the content of any submission you make. The content displayed in any third party advertisements on the website is provided by third parties. Lotus Massage is not the author of that content and is not responsible for the accuracy, propriety, lawfulness or truthfulness of the same. Lotus Massage shall not be liable to you in connection with any reliance on such third party content. The website may also contain links to other sites. Lotus Massage shall not be held responsible or liable for the availability of, or for any content material contained in, or obtained through, any such sites. Any link to another website, and reference to third-party information, products or services linked to this website, is not, and should not be interpreted nor construed as, an express or implied endorsement by Lotus Massage. You are advised to read such third party websites’ terms and conditions and privacy policies before using them. Any questions or comments relating to such other sites should be addressed directly to the operator of those sites. The website and its content are provided on an “as is” and “as available” basis. Lotus Massage make no claims or warranties of any kind, explicit or implied, including, but not limited to, warranties of title or freedom from malicious programs (including viruses, worms or Trojan horses) or implied warranties of satisfactory quality or suitability for a particular purpose, with respect to this site or its contents and explicitly disclaims any representations and/or warranties. 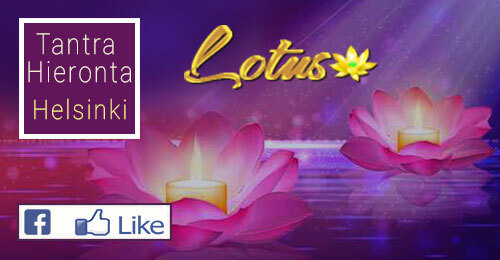 Lotus Massage do not represent or warrant that the information contained in this site is accurate, complete or up-to-date, that this site is free of defects or that any defects will be remedied. You agree, by using this site, that your use of this site is at your sole risk. http://www.hieronta-helsinki.net/ follows a standard procedure of using log files. These files log visitors when they visit websites. All hosting companies do this and a part of hosting services analytics. The information collected by log files include internet protocol (IP) addresses, browser type, Internet Service Provider (ISP), date and time stamp, referring/exit pages, and possibly the number of clicks. These are not linked to any information that is personally identifiable. The purpose of the information is for analyzing trends, administering the site, tracking user’s movement on the website, and gathering demographic information. Like any other website http://www.hieronta-helsinki.net/ uses ”cookies”. These cookies are used to store information including visitor’s preferences, and the pages on the website that the visitor accessed or visited. The information is used to optimize the user’s experience by customizing our web page content based on visitor’s browser type and/or other information. Note that http://www.hieronta-helsinki.net/ has no access to or control over these cookies that are used by third-party advertisers.